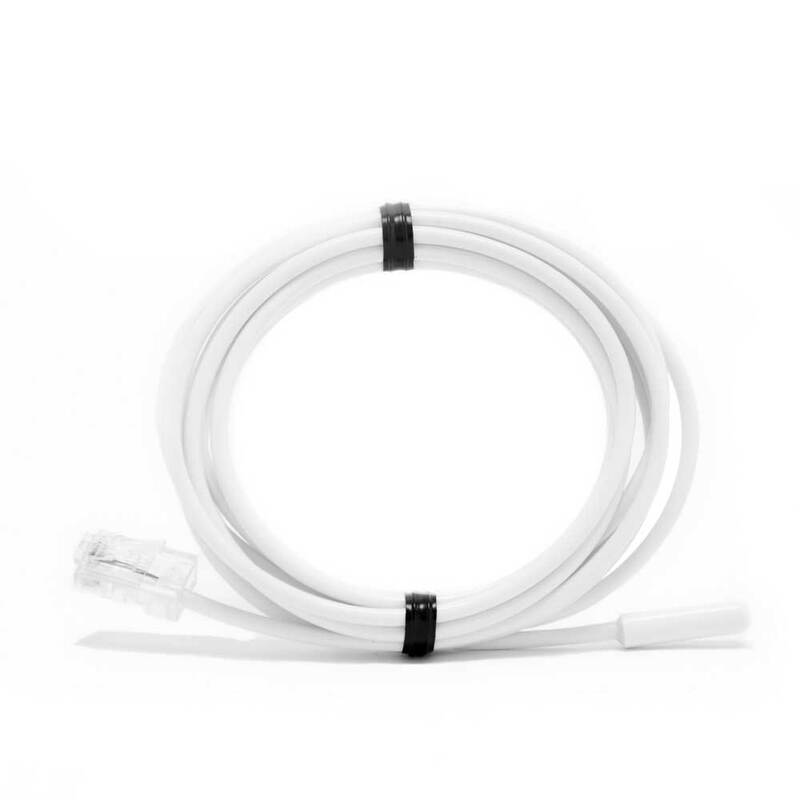 Sonde de température, 8 m is a temperature sensor with stripped cable ends ready for connection to connection block. Sensor and sensor cables should not be exposed to direct sunlight, the jacket around the cable is not UV resistant. The sensor can be shortened and lengthened.